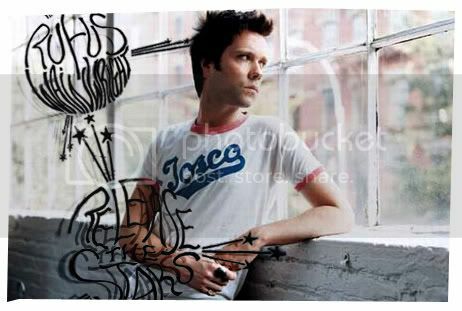 Rufus Wainwright is out with his latest album titled ‘Release the Stars’ and has been receiving really good reviews from critics. Now, I know some of you out there enjoy listening to ‘Era’ and ‘HotFm’ and not that there’s anything wrong with that, not at all. But, listening to Rufus Wainwright’s ‘Going to a Town’ reminds me so much of Malay music - that sappy, depressing love tunes - but with much better lyrics. The song probably has something to do with political issues that I wouldn’t really know of. I know this might sound cheesy + cliché; but, it’s one of those songs that capture the sentiment of the words perfectly and the way it’s sung is done tremendously well by its singer. But there are some people that claims he sings like a drunken person and others think that if the cartoon character ‘Droopy’ could sing, he’d sing it just like Rufus Wainwright. Well, I think he’s just able to sound like he’s singing without any effort at all and he’s still able to make it sound good.